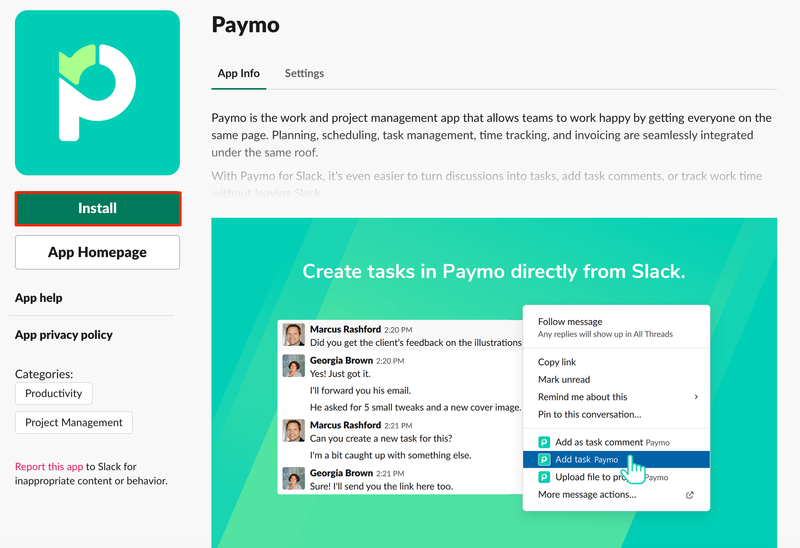 If Slack is how you keep in touch with your team, then Paymo is the way to make it more collaborative. 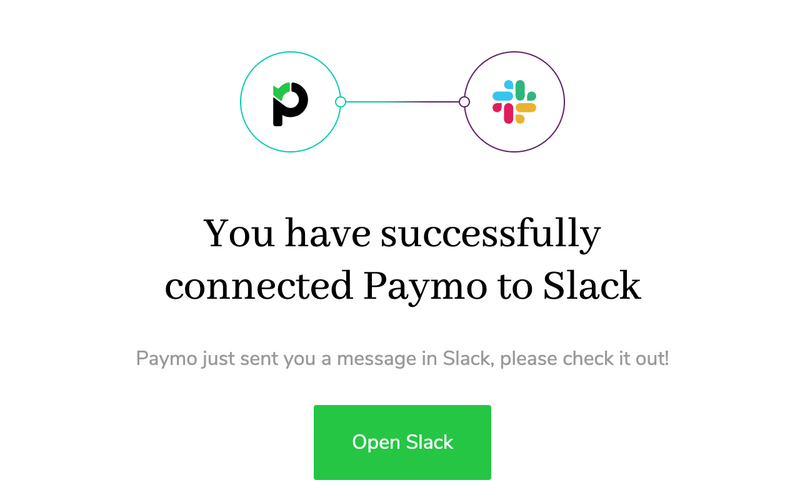 By integrating Paymo with Slack you'll be able to add tasks, projects, start the timer and more right from your Slack interface. Then follow the step 2 from above to authorize the integration. Type /paymo setup to start the linking process between your Slack and Paymo accounts. Type /paymo me to display information about the current user, manage notifications status, or remove the link between your Slack and Paymo accounts. Type /paymo channel [ info | link | unlink ] to display information about the current channel or link/unlink it from a Paymo project. The link created for each project by using /paymo channel → Link will save you time when uploading files or creating tasks directly to the project without the need to select a project. Type /paymo add [ task name ] to create a new task. Required fields for a task are "Name" and "Project". Additionally, you can add up a description and assign one user to the task. Type /paymo recent [ 3 ] to list the most recent tasks you've worked on. Default limit is 1, maximul limit is 10. Type /paymo search keyword to search for tasks by keyword. Minimum keyword length is 3 characters. The search will apply only to task names and descriptions. Type /paymo timer to show if there is a running timer. Type /paymo stop to stop a running timer. Type /paymo start to start tracking time for a task. Type /paymo resume to start tracking time for the last task you've worked on. 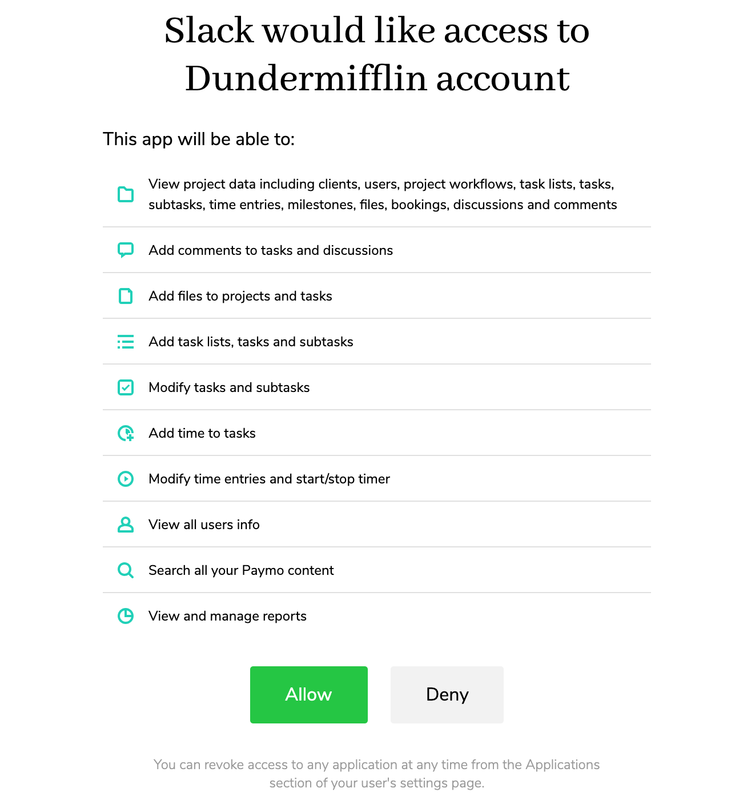 You can use regular Slack messages and turn them into tasks, task comments or files to a project. Just hover over the message → click the "..." → select the desired action. 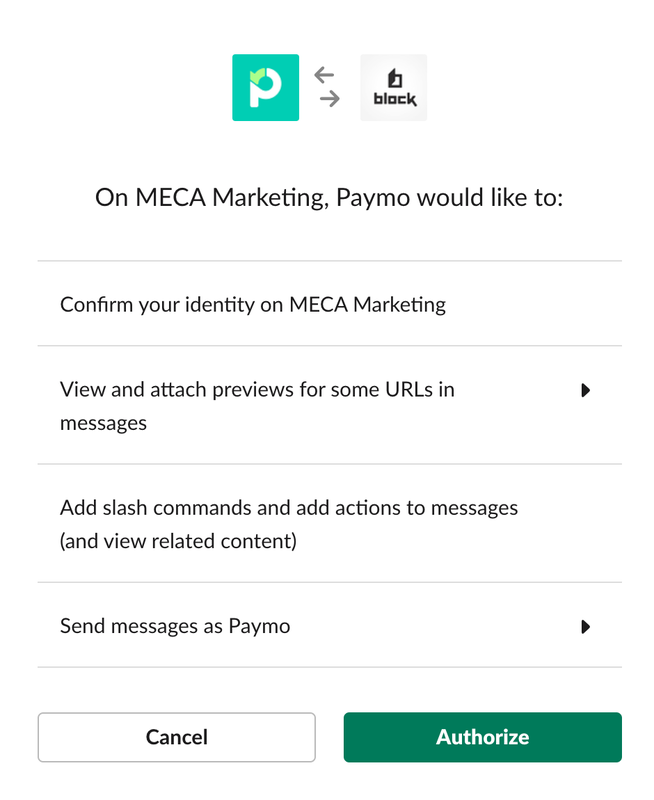 The notifications that are displayed in Slack are the ones displayed in the Paymo in app notifications area. Which means you will receive notifications about task status changes, new comments, new files, new task assignments, project assignments, etc. Warnings about failed payments will be sent out as well, if your account is locked and you wish to do an action like creating a task by using Slack.